Players will move on from the Vegas Golden Knights each offseason. It’s just a part of hockey. The crumby business side of things. 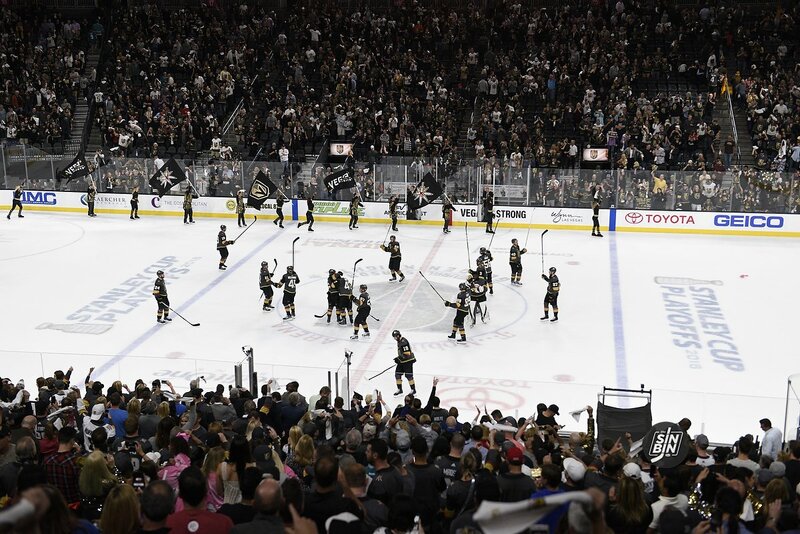 But one roster, one group of misfits, that became the 2017-18 Western Conference championship team will never move on from Las Vegas or the hearts of Golden Knights fans. 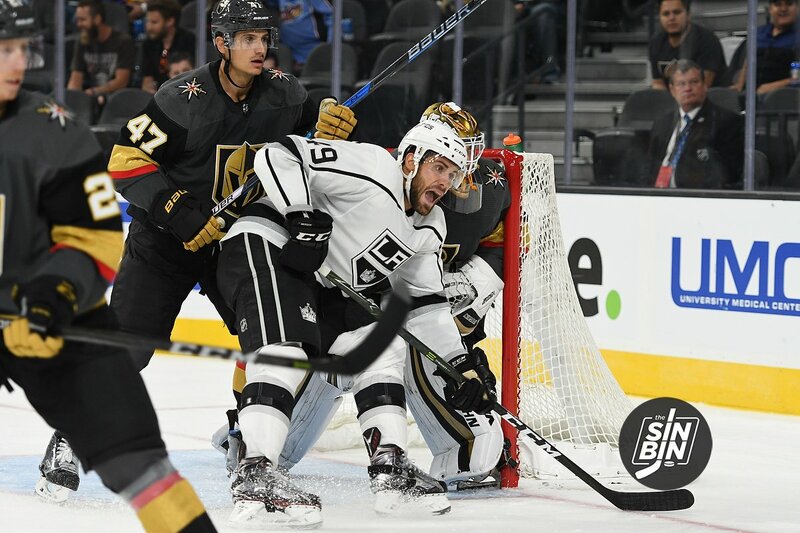 This past week, former Vegas players Luca Sbisa and Tomas Tatar made their first appearances back to Vegas since their painful Game 5 loss in the Stanley Cup finals. After their brief return to their old place of business the two players were all smiles happy to bump into their old teammates, coaches, trainers, and heck even us. With limited action this season, the former Knight normally isn’t requested by the media after a game. But when I requested him, he came out with a warm smile on his face. Glad to have the old gang of misfit reporters, like myself, to chat and reminisce about last season. Like the entire 2017-18 roster, Sbisa is proud of his accomplishments with the Golden Knights. The d-man was a steady player when healthy, and an outstanding person off the ice. Like Sbisa, Montreal forward Tomas Tatar spoke highly of his experience in Vegas, although short, and called it one of the best moments of his career. One former teammate that welcomed Tatar and Sbisa with open ice hits was the big and lovable Ryan Reaves. Both players had brief tie-ups with #75 in their separate games against Vegas. Perhaps just a few love taps. Throughout the postseason, analysts have talked about the Golden Knights as a future model for teams living under a tight salary cap. The players’ average age, salary, skill, desire, leadership, and unity is what makes Vegas so ideally well-balanced. Signing a defenseman, or any player, to a massive contract can sometimes hurt a club’s progression. Erik Karlsson and Drew Doughty averaging up to 30 minutes a night doesn’t guarantee great team defense. Instead, the plan of balancing minutes among three defensive pairings has been wildly effective for Vegas. Sportsnet’s Nick Kypreos said he expects the Golden Knights “passive aggressive forecheck” a problem for Washington’s defense. The same unit he said looked “done” against Tampa. Through 15 games in the postseason, no one has said the Golden Knights defensemen looked tired. Like other leagues, the NHL is a copycat league. Other GM’s have to be taking notes, drooling over the Golden Knights success. A team with four solid lines, six reliable d-men, and a lights-out goaltender is a blueprint every franchise dreams of designing. Sbisa and the other Golden Knights defensemen will have to continue playing brilliantly against the Capitals. 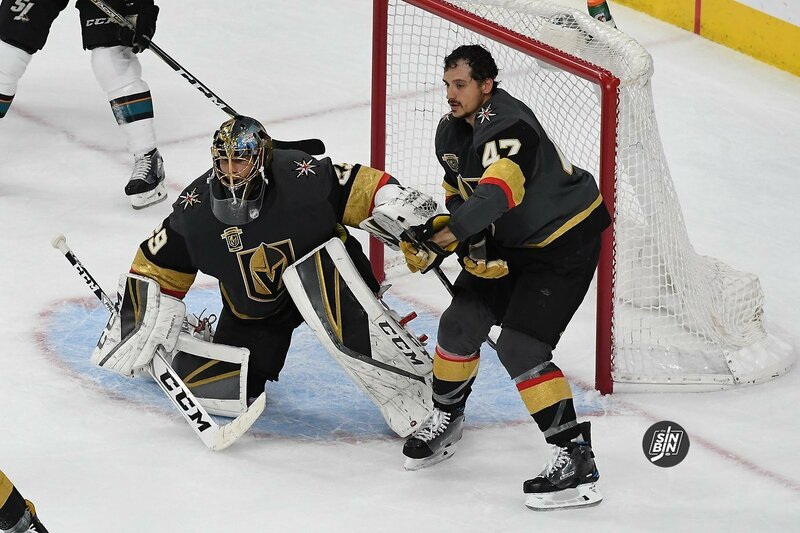 If Vegas can keep fresh on the ice by sticking to their gameplan, Washington’s offense will have a hard time getting close to “Superman” Fleury. And if that happens and Vegas wins the Cup, every NHL GM may look to add ‘Golden’ to their team name too. 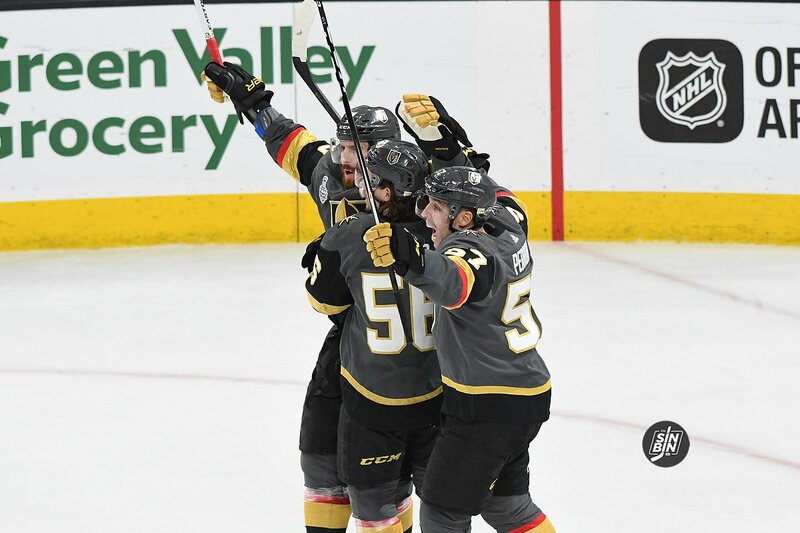 As the Golden Knights head into their Second Round series with the Sharks they do so as healthy as they’ve been all season. There’s only one active player listed on the injury report and he’s considered ready to play when the team needs him. It’s incredible, but the Golden Knights might just be the deepest team of any left in the playoffs. When they drop the puck against San Jose, Vegas will have a perennial 20 goal scorer and their highest paid forward on the bench sitting alongside a defenseman that one was considered “shut down” for the Golden Knights and only lost that title due to injury, not a decline in play. 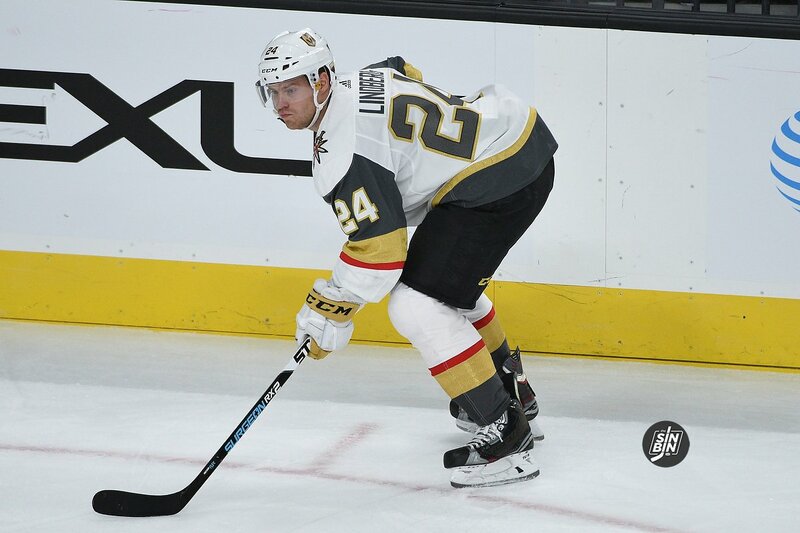 They get even deeper when you throw in Oscar Lindberg, a penalty killing forward with excellent hands and solid speed, Brad Hunt, a power play specialist defenseman, and Ryan Reaves, a physical specimen waiting to unleash some fury into a series. Coming off a first round sweep and allowing just three goals in 14 periods, no lineup changes are expected for the opening game of the series to begin later this week. However, that depth is going to be needed eventually, and we’re here to illustrate not just how many players the Golden Knights have to fill-in in case of injury, but how wide-ranging they can be allowing All Star head coach to feel comfortable no matter what happens. 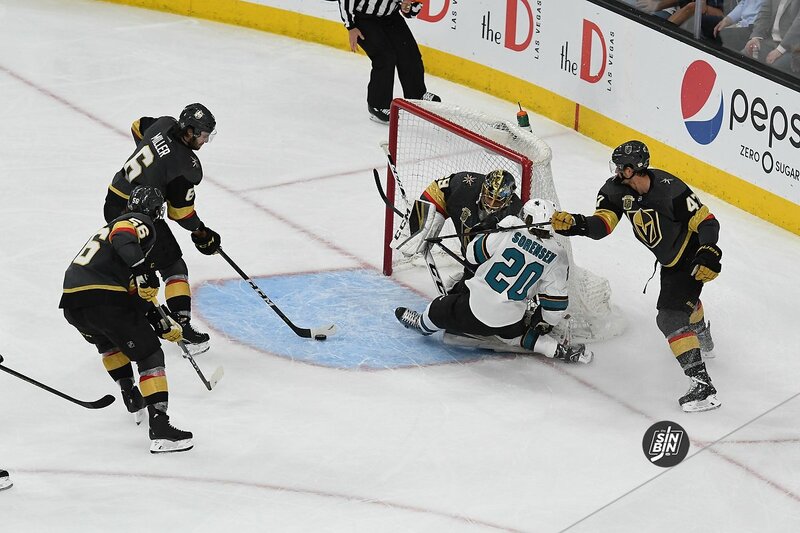 Just as is the case with the 12th forward, with the return to health along the Golden Knights blueline, All Star head coach Gerard Gallant has some tough decisions to make heading into Wednesday’s playoff opener. Nate Schmidt, Brayden McNabb, Colin Miller, and Shea Theodore are certainties to be in the lineup. Deryk Engelland is likely to be crack the lineup but there’s at least a bit of decision making needed with him as his play has seemed to slip as the season has worn on. That leaves four defensemen with just once spot available in the Vegas D-core. As we did with the forwards, here’s a pros and cons list of each player and then both Ken and I made selections as to who we believe will get the call. Pros: Sbisa was one of the most reliable Golden Knights defenseman to start the season, was once considered VGK’s superstar shadown, and he has played several playoff games. Before being injured in mid-November Vegas was 10-5-1 with him in the lineup. Usually, Sbisa was paired up with Nate Schmidt and split duties covering the best forwards in the NHL. Like Englland, Sbisa is best staying home and protecting the net. Although he has done his share offensively. When Sbisa records a point the Golden Knights are 10-1-1 this season. Cons: Sbisa has been hampered with injuries most of his career, and this year has been no different. Vegas was expecting a healthy defenseman after playing a full 82 games in Vancouver last season. It’s uncertain how injured he is, or if he’s even healthy enough to play against the Kings. Sbisa has suited up for 20 postseason games, going 8-12 with three different franchises. Sbisa could be the better overall option but Gallant may decide to go with Engelland because of similar style and trust.